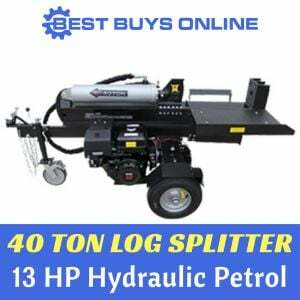 The 30 Ton HEAVY DUTY LOG SPLITTER HONDA ENGINE is one of the most powerful, superior and reliable log splitters on the market. The LS30 has a compact and innovative features to give its best performance. It comes with the impressive 8""(200mm) hardened steel splitting wedge to slice through the toughest of timber(while most of the machines on the market has 150-180mm height wedge only). With a 2-stage 11GPM gear pump and 115mm hydraulic ram, the machine quickly builds up to 30 tons of log splitting pressure. It can split logs up to 610mm long and 305mm Diameter. 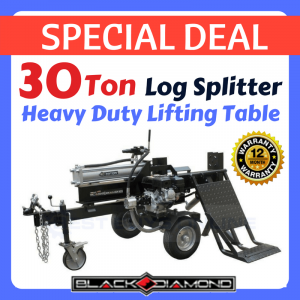 Designed to suit your best situation and split logs with minimal effort and time, it can operate at both vertical and horizontal positions: Horizontal for smaller logs you don't mind lifting and Vertical for the big logs - just roll them into place. The Honda Engine Log Splitter now comes with Jockey Wheel, Tool Box and Work Bench. One of the greatest benefits of this product is its 6.5HP HONDA ENGINE petrol powered operation. Built with Heavy Duty Steel Structure and Solid Forged Splitting head, it’s designed to split log after log of tough Australian timber. With the large 16-inch pneumatic tires and tow hitch pin, you can take it wherever you need to on your property with ease. 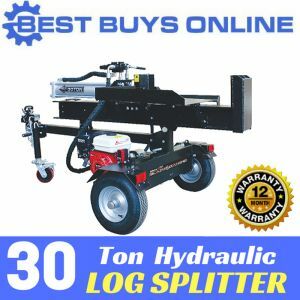 You'll also be pleased to know that 10 liters of Premium Hydraulic Oil is included with this splitter, this could otherwise cost up to an additional $80 from other dealers. 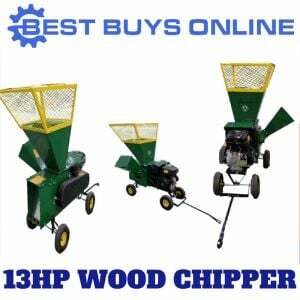 So, why not stop a backache out of chopping firewoods and let the 30 Ton Log Splitter help you? Product Applications: Can be used by tree loppers or just for general gardening in case you have some serious shrubs. • Direct drive with flexible couplings. Shipping Dimensions: 187 X 51 X 68cm, GW: 270kg. Product Assembly: A moderate level of assembly is required. - OUTSIDE a capital city: We can send the item to the nearest freight depot or to your door. We will charge you the difference in freight cost to the capital city and your pick-up location. Let’s say the calculated freight to your nearest capital city is $150 and the calculated cost to your delivery address is $200. Your freight cost is $50. - WITHIN capital city: We can send the item to the nearest freight depot. In this scenario freight is free. 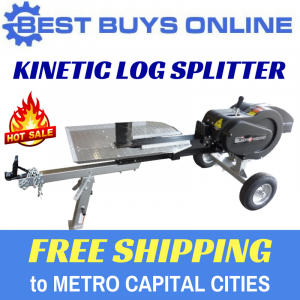 - OUTSIDE a capital city: We can ship it to your door (plus extra $95 for tailgate) or to your nearest depot. Please call us for freight cost.